It’s hard out here for an academic. Really, really hard. 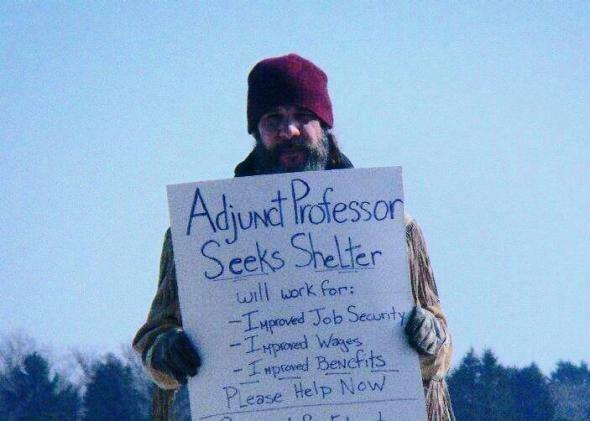 Once in a while, someone publishes an article about adjunct professors who resort to food stamps in order to survive on the rock-bottom pay that so many college instructors are expected to live on. But until today, I had never seen a statistic summing up how many academics are actually resorting to government aid. The number, it turns out, is rather large. According to an analysis of census data by the University of California–Berkeley’s Center for Labor Research and Education, 25 percent of “part-time college faculty” and their families now receive some sort public assistance, such as Medicaid, the Children’s Health Insurance Program, food stamps, cash welfare, or the Earned Income Tax Credit. For what it’s worth, that’s not quite so bad as the situation faced by fast-food employees and home health care aids, roughly half of whom get government help. But, in case there were any doubt, an awful lot of Ph.D.s and master’s degree holders are basically working poor. 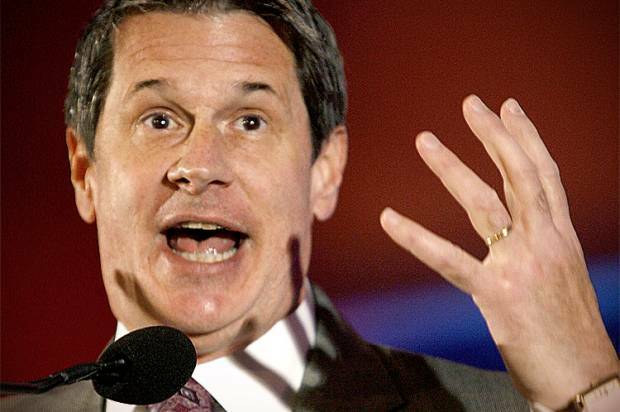 As senators haggle over GOP language that bans using fines paid by traffickers to fund victims’ abortions, NOLA.com reports that Vitter aims to tack on an amendment that would end deny citizenship to the U.S.-born children of unauthorized immigrants. Vitter’s amendment contravenes the 14th Amendment’s citizenship clause, which confers citizenship on ”all persons born or naturalized in the United States.” Supreme Court precedent dating to the 19th century affirms that the clause applies to the U.S.-born children of noncitizens. How did the Republican Party — with a favorability rating significantly worse than the Democratic Party’s – manage to trounce the Democrats on Tuesday? The obvious answer is that midterm elections witness a substantial dropoff in turnout by core Democratic voters; the dynamics of this year’s contest simply favored the GOP. But as New York Times columnist and economist Paul Krugman emphaizes this morning, voters awarded Senate control and an historic House majority to a party that has gotten every major policy question of the last several years woefully wrong. 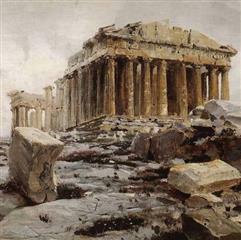 Take the financial crisis and its aftermath. “According to conservative dogma, which denounces any regulation of the sacred pursuit of profit, the financial crisis of 2008 — brought on by runaway financial institutions — shouldn’t have been possible,” Krugman writes. But Republicans refused to rethink their reflexive opposition to robust regulation, he notes, and they badly bungled the response to the ensuing Great Recession. Denouncing deficit spending and championing austerity, GOPers like House Speaker John Boehner prescribed policies that actually exacerbate economic slumps. Though the GOP’s knee-jerk opposition to government spending didn’t stop the enactment of President Obama’s 2009 stimulus, the party did preside over a drastic cut in crucial investments like infrastructure after it captured control of the House of Representatives in 2010, and those spending cuts have held back the economic recovery. On health care reform, meanwhile, the party’s predictions of peril haven’t panned out. Krugman notes that the GOP forecast “minimal enrollments, more people losing insurance than gaining it, [and] soaring costs.” The reality? More people than expected are enrolling in health care plans; the number of Americans without health insurance has substantially decreased; premiums are “well below expectations”; and the rate of health spending growth has slowed. But the GOP’s “most important wrongness of all,” Krugman argues, is on climate change. “As late as 2008, some Republicans were willing to admit that the problem is real, and even advocate serious policies to limit emissions — Senator John McCain proposed a cap-and-trade system similar to Democratic proposals,” he observes. Now, however, the GOP has entered the era of “I’m not a scientist” — and steadfastly refuses to act on the threat to our planet. 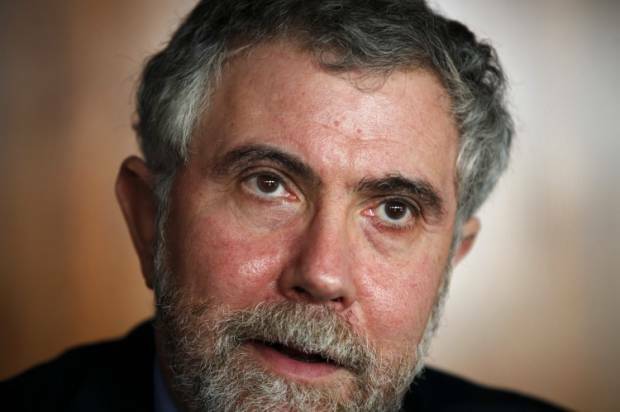 “Now these people will be in a position to block action for years to come, quite possibly pushing us past the point of no return,” Krugman laments.